Search for the best flight prices from Stansted to Salzburg. 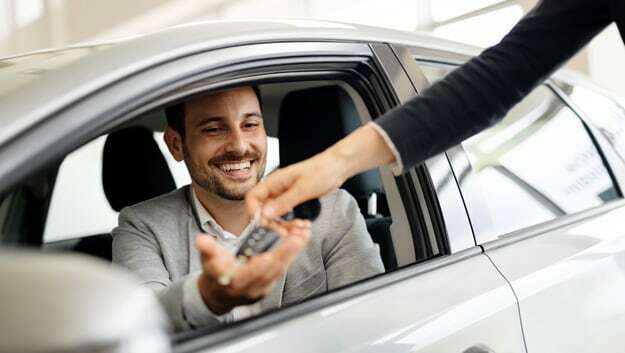 Compare prices, book today and save money with Stansted Airport. Of all of the cities of Austria, Salzburg would be the one most at home in a fairy-tale. Amid the picturesque scenery of its cobbled streets, majestic river and great mountainous countryside, the ancient stone architecture of the city will draw you in to another world. Here you can experience a thriving arts and musical scene in the same city that brought the world the genius that was Mozart, or perhaps sample the traditional Austrian cuisine in some of the country’s grandest restaurants. The historic core of Salzburg tenderly embraces the city’s best hotels, although there are pleasant treats to be found in the surrounding hills in the form of converted castles and rustic farmhouse retreats. For incredible character and charm that dates back centuries try the renowned Hotel Goldener Hirsch (Getreidegasse 37) which has welcomed guests for some 600 years. Also found in the Old Town is the fashionable Arthotel Blaue Gans (Getreidegasse 41-43) and the historic Elefant (Sigmund-Haffner-Gasse 4), which counts figures such as the real Maria von Trapp and Maximilian II among its former guests. For something even more extravagant, head 15km south of Salzburg and splash out on an awe-inspiring room at medieval castle Haunsperg (Hammerstrasse 51, Oberalm). 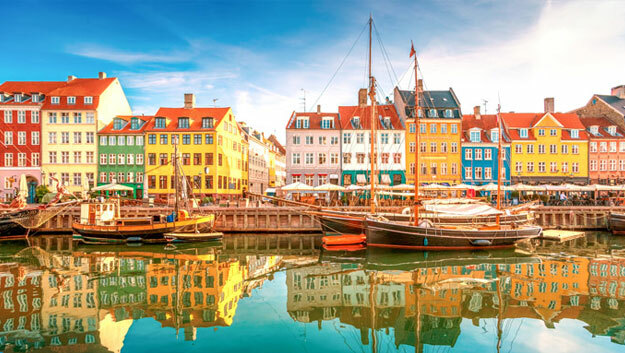 The Old Town boasts plenty of character thanks to its dainty cobbled streets, which also play host to a plethora of small boutiques, traditional stores and craft workshops. Getreidegasse and Judengasse are the most well-known shopping streets, but hidden treasures can be found by exploring the passageways and courtyards that are prevalent around town. Chocolate-lovers must head to Holzermayr (Alter Markt 7), while those after baked goods should check out St Peter's bakery (Kapitelplatz 8), and for leather goods try the old leather workshop Schliesselberger (Lederergasse 5). For a dose of more modern shopping head to Europark shopping centre (Europastraße 1), or for fresh produce and traditional Austrian spice bouquets pay a visit to the Green Market (University Square) which is open every day apart from Sundays. Some of Austria’s grandest restaurants are to be found in Salzburg, with historic buildings home to decor that includes stone pillars, vaulted ceilings and shimmering chandeliers to go along with the country’s traditional cuisine. Possibly Europe’s oldest restaurant at 1,200 years old is the revered Stiftkeller St Peter (St Peter Bezirk 1/4). Alternatively try Magazin (Augustinergasse 13) which represents one of the best options of neue Küche, or nouvelle cuisine, at mid-range prices. Augustiner Bräu (Augustinergasse 4) is Austria’s biggest beer cellar, and offers guests the opportunity to bring their own food to complement the beer in addition to choosing from their own simple menu. For a quick bite head to the storied Café Tomaselli (Alter Markt 9), which boasts a history that dates back 300 years. The Salzburg Easter Festival offers quality opera and classical music, serving as a warm-up for the bigger summer extravaganza, the Salzburg Festival. Each year thousands of brave souls take to the streets of Salzburg to make their way along an attractive route that takes in palaces, squares and gardens over the course of 42km. The Salzburg Festival runs for five weeks of international quality opera, theatre and classical music, culminating in true Austrian style with a ball. Various venues across the city play host to what is a world-renowned event. SommerSzene acts as an antidote to the more highbrow nature of the Salzburg Festival, thanks to its status as an avant-garde performing arts festival that offers edgier theatre, music, film and contemporary dance. 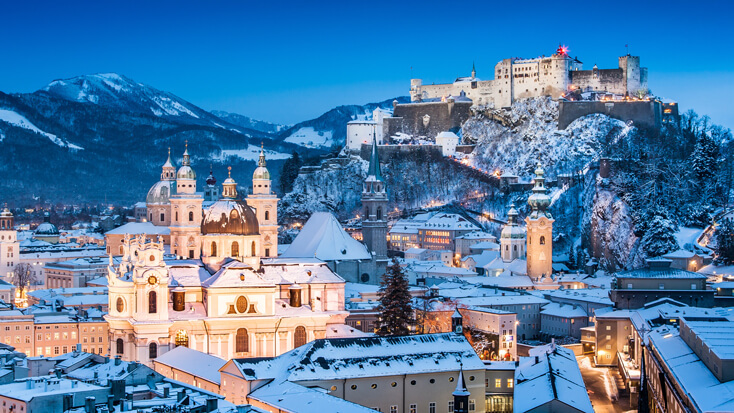 Salzburg is an attractive city over the festive period, epitomised by the Domplatz and the fairy lights, snow globes and candy canes that adorn the area. The Christmas Markets throw up festive souvenirs along with mulled wine and seasonal food, while carol singers fill the air with Christmas cheer.